Today, we are going to cover the namesake of play – The Nutcracker! I remember seeing The Nutcracker in Pittsburgh as a kid. My mom got some super awesome seats real close. The whole play I was excited to see a girl from my grade school dance with the Sugar Plum Fairies. At the end, I demanded that my mom buy me a souvenir – a Nutcracker that I believe still lives at my parents’ house. Since that one has been around for way too many years, here are some upgrades! · The obvious gift here is tickets to The Nutcracker! · There are a ton of fun Nutcracker t-shirts out there that could be cool to wear during holiday parties. Here are my favorites: here, here and here. 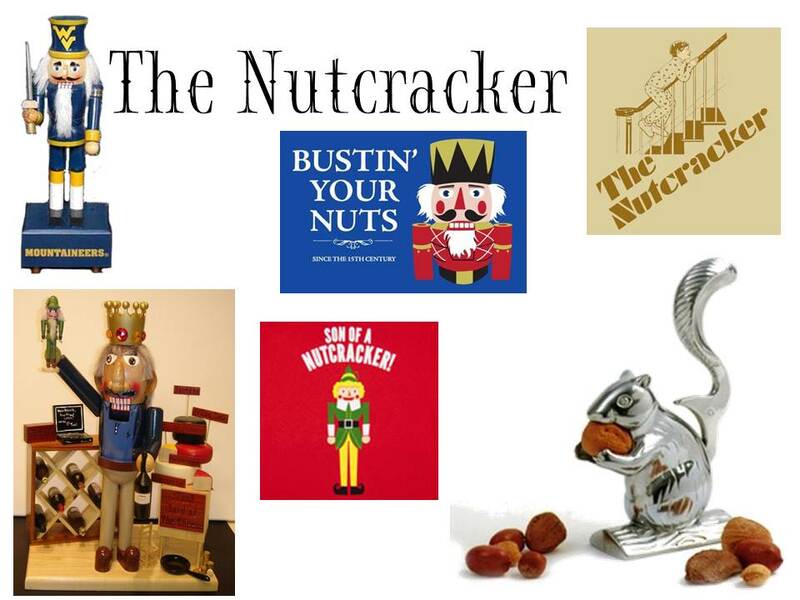 · Now, for the real Nutcracker enthusiast (or if you are just really rich), there is a place out there where you can customize your own Nutcracker! Check it out here. · If you are in the market for a real Nutcracker, may I suggest this silver squirrel option!